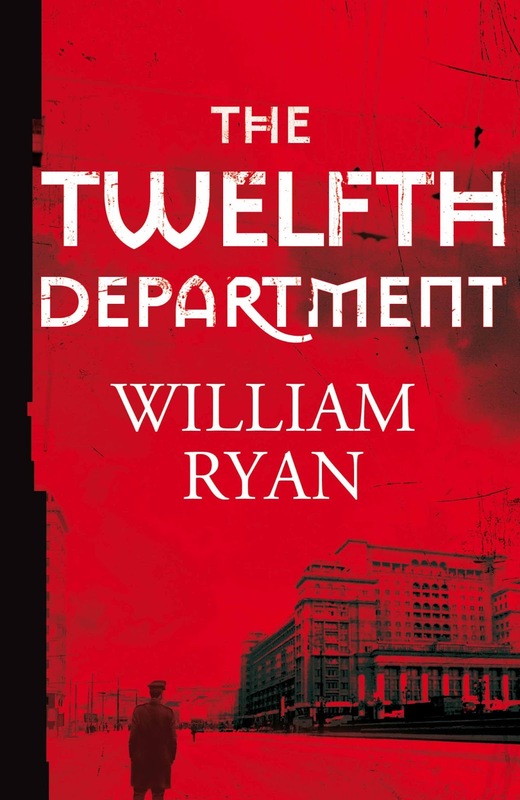 In the fourth of a series of conversations, author William Ryan talks to author Declan Burke. 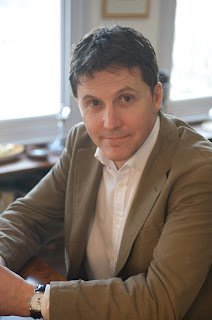 Declan Burke is the Irish author of the Harry Rigby series. 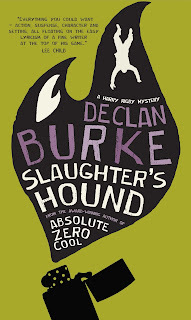 The latest book in the series being Slaughter’s Hound, which was shortlisted in the Ireland AM Crime Fiction Category for the Irish Book Awards 2012. The first book in the Harry Rigby series is Eightball Boogie (2003) which was also shortlisted in the Crime Fiction category at the Irish Book Awards, 2003. The Big O (2008) was shortlisted for the Goldsboro ‘Last Laugh’ Award in 2009. 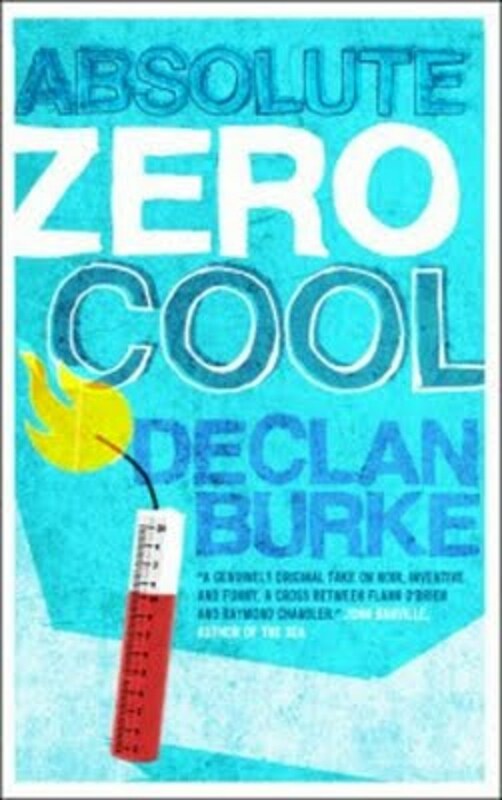 His novel Absolute Zero Cool won the Goldsboro ‘Last Laugh’ Award at Crimefest, 2012. 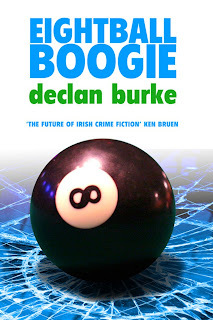 It was also shortlisted for the Crime Fiction category at the Irish Book Awards, 2011. In 2011, he edited Down These Green Streets, a collection of essays, memoir and short stories written by Irish crime writers about the current wave of Irish crime writing. With John Connolly, Declan Burke is the co-editor of Books To Die For (2012), a collection of essays on the greatest crime and mystery novels written by the greatest living crime and mystery authors. 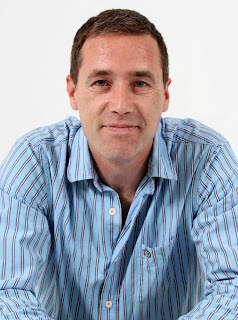 Declan Burke is also a freelance journalist and critic. He has written and continues to write and broadcast on books and film for a variety of media outlets, including the Irish Times, RTE, the Irish Examiner and the Sunday Independent. He also runs the successful and well-regarded blog Crime Always Pays. 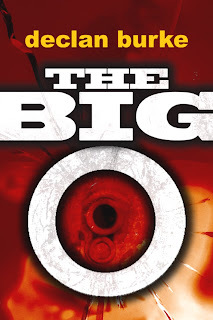 His novel The Big O is available for the first time as an e-book ($4.99 / £4.99). 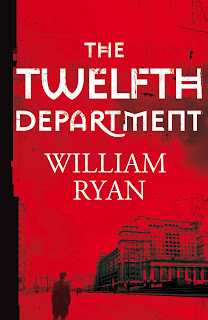 William Ryan is the Irish author of The Holy Thief, The Bloody Meadow and The Twelfth Department (to be published in May 2013); novels set in 1930s Moscow and featuring Captain Alexei Korolev. His novels have been translated into fourteen languages and shortlisted for The Theakstons’ Crime Novel of the Year, The CWA Specsavers Crime Thriller Awards New Blood Dagger and the Kerry Group Irish Fiction Award. He lives in London with his wife and son. WR: So I've been enjoying listening to an Irish rock band called Rollerskate Skinny this week - on your indirect recommendation. Their album Horsedrawn Wishes features heavily in Slaughter's Hound, your latest book, and so I thought I'd better do some research. It was interesting though - the more I listened to it, the more it felt almost like a soundtrack to the novel. Do you have particular music you listen to when you're writing and do you think it comes out in your books? DB: Glad to hear you like Horsedrawn Wishes. That album was a huge influence on my writing - the idea that you could be Irish, sure, but that you didn't have to sound Irish. Or, for that matter, like anything else you'd ever heard before. It was very liberating at the time - by which I mean, the late '90s, when I was flailing around trying to get my first book written. I always used to listen to music when I was writing, usually a collection of songs I'd identified as being close to the sound or feel of what I was trying to achieve. For Crime Always Pays, say, I had a loop of Springsteen songs on the go, because I was aiming for a kind of 'cartoon heroic' feel. I don't mean that Springsteen is in any way cartoonish, just that his songs - or the songs I'd picked out - tended to condense into four or five minutes that kind of heroic narrative you get over the course of a whole book or play. Anyway, it felt right for me. These days, though, I can't listen to any narrative music at all when I'm writing - anything with lyrics. I don't know if you feel the same? I just find it very distracting. It's also true that I made a conscious decision a couple of years ago to put pop and rock music to one side for a while and listen solely to classical, opera and instrumental music. That has the double benefit of allowing me to listen to music with lyrics, except they're in German, or Latin, or whatever - anyway, they're not distracting from a writing point of view because I just hear the voices as another instrument, or instruments. Music is good to have when I'm writing, though, as it tends to drown out any possible noises / distractions from outside the office / cave. Maybe I should be less easily distracted ... What about you, are you so buried in the storytelling when you're writing that you couldn't possibly be disturbed? WR: Sadly I could be disturbed by the back of my hand - not that it's disturbing as such, but I'm certainly easily distracted - very easily distracted. So - no, I can't listen to music as much as I'd like. Not least because I think, more and more these days, that writing has a rhythm of its own which listening to music can sometimes obscure - and as I'm looking for a smooth read for the reader, which is me in the early stages, I want to avoid anything that might affect that. That's not to say I don't listen to music - I do - but, like you, I'm wary of it. That thing about being Irish, but not necessarily wanting to sound Irish - do you think that's the reason your early novels - like The Big O - feel Irish yet can't be pinned down to a particular location, or even to being Irish, to an extent? DB: The issue of location, or setting, is actually a bit of a hot topic for me right now. In my mind The Big O is set in very specific locations in and around my hometown of Sligo, but I was deliberate in not giving the story a particular setting because I was trying to suggest that crimes and their consequences are universal – i.e., that story could have taken place in any mid-sized town anywhere around the world. With my first book, Eightball Boogie, I was a little constrained by the idea that I was writing about places I knew a little too well, I think. I got over that, or past that, by re-imagining Sligo, by giving it certain places and areas that don’t exist, and then working my characters into and out of those fictional places. It might sound a bit trivial but I needed that invented space in order to allow my imagination off the leash. On the back of my latest book it says "Welcome to Harry Rigby's Sligo" and that feels right - it's not the real Sligo I'm writing about, it's Harry Rigby's version of it. But there’s a bigger issue at play here too, and it taps into your question about ‘being Irish’. I was born and raised in Sligo in the Northwest of Ireland, but my cultural experiences growing up were American movies and books, British books and music, and football, European movies, Dutch beer … all these things, and more, were as important in forming my appreciation of culture as any and all of the Irish elements. And if I’m going to write, and be true to my experience of what brought me to the point where I want to write, then I’d be a hypocrite not to include, or at least acknowledge, those influences. That’s why Eightball Boogie (and to a lesser extent its sequel, Slaughter’s Hound) is so heavily influenced by Raymond Chandler in particular, and the American hardboiled novel in general. Why The Big O is influenced by Elmore Leonard and Carl Hiaasen and Barry Gifford. I don’t know, maybe it has something to do with living in a post-colonial country. Ireland has been overlaid with any number of cultures over the past thousand years, and more. And then there’s the fact that emigration has played such an important part in Irish history, and that emigrants bring back all these cultural artefacts and incorporate them into the mix. Do we even know what ‘being Irish’ means? I think that that’s one of the more fascinating aspects of the new generation of Irish crime writers – the diverse locations. John Connolly setting his books in Maine. Conor Fitzgerald and Rome. Until recently, Adrian McKinty set his books anywhere but Ireland. Ken Bruen, Eoin Colfer, Arlene Hunt, Alex Barclay, Ava McCarthy, Alan Glynn … they’ve all chosen non-Irish settings in recent times. And, of course, William Ryan and Russia. The setting and time were a big draw for me, even before I opened The Holy Thief. Were you conscious of not setting your stories in Ireland? Or was / is 1930’s Russia the crucial aspect of the Korolev novels for you? WR: I never made a conscious decision not to set my novels in Ireland but, given I haven't lived there since I was 22 and that's some time ago, I don't think it would have been that easy to do. As it happens, the idea for the Korolev novels came around a bit by chance. I used to write screenplays and I wanted to write something about this Russian writer, Isaac Babel, who was a last minute attendee at an international writer's conference in Paris - in 1937. As it happened he had a wife and daughter in Paris, and his mother and sister lived in Brussels - and by then it was pretty clear that times weren't good in Moscow and that he, in particular, was at risk if he returned - but return he did - and I thought it would be interesting to explore why he made the decision he did. I never really got round to writing it but I did a lot of research and when I was thinking about writing a detective novel, 1930s Moscow seemed to be a place no-one else had thought of. Of course, it turned out I was wrong about that - Tom Rob Smith, for one, was writing Child 44 at the same time I was writing The Holy Thief - albeit a bit quicker, not that it would have changed my mind. It's a period of history that fascinates me and which has all kinds of resonances today. I don't think I could write a similar novel in a contemporary setting - we just don't believe in things the way we used to, not in Europe anyway - and the thirties is very much a period defined by blind belief. You mention Elmore Leonard and Raymond Chandler as influences, amongst others, and I know you spend part of your time reviewing and interviewing other crime novelists for newspaper and radio, as well as persuading them into participating in short story collections and the like. Do you think reviewing and writing about crime has also influenced the way you write? DB: There’s no doubt that writing about crime fiction has changed the way I write it – although whether for good or ill I really don’t know. You can have too much of a good thing, and there are times when I feel a bit burnt out reading only crime fiction, which can be the case for me for long stretches – I suppose any diet is going to become monotonous if doesn’t have variety. And my own tastes in reading are quite catholic, as I think most readers’ are. Something else I’ve noticed is that I’ve come to value language above all other aspects of the crime novel. When you accept that most crime books you’ll read will stick to a very similar pattern, or blueprint – which is, after all, what the genre demands, and why it is so successful – then you start to look for the interesting variations. And for me, an inventive use of language is always the most interesting aspect to the telling of a good story. The crime novels that have resonated most with me in the last year or so have been those from Megan Abbott, James Lee Burke, Tom Franklin, Eoin McNamee – writers who really bear down on a line and make it yield up its fullest potential. That’s something I’m always curious about, when I’m talking with other writers. As in, the trade-off between being adventurous in language or plotting or characterisation, and the necessity of working within the established parameters. How does that work for you? I think it’s obvious to anyone reading the Korolev stories that language, for example, is important to you as a writer – are you conscious of that kind of necessary compromise when you’re writing? WR: I think I know what you mean - crime readers can be a little set in their ways when it comes to what they want to see in a crime novel. I once received an online review for The Holy Thief that described me as "very creative with his writing, but excessively verbose". I'm presuming the odd adjective was a bit too much for him. In some ways, that's not such a bad review, of course. Writing is all about words after all - and while I try to avoid being "excessively verbose", I do try and describe things visually and accurately and sometimes it takes a few words to do that. But I suppose crime fiction, particularly in recent years, has tended towards spare and functional writing - so I may be a bit flowery by current standards. But I like to allow words to build up a bit of cumulative power and I like to have a bit of rhythm and sound to my sentences - and I think a lot of readers like to read that kind of writing as well, even if some would rather rub broken glass into their eyeballs. One of the things you learn early on as a writer is that books are a bit like marmite - you can't expect everyone to like what you've written. Generally though I think the curious thing about the crime fiction genre is how much freedom there is within it. While readers have some pre-conceptions about what they expect from a crime novel the whole point of the genre is that they want to be surprised - so I think there's a bit of flexibility in there for writers. And it's a very broad church. Fortunately, I also have a bit of a get-out from most crime rules as I write in a different historical period and from the protagonist's point of view, so I can sort of blame my excesses on Korolev - he being Russian and a bit behind the times. It's dialogue that I spend the most time and sweat getting right. I think that's because I'm often interested in what the characters aren't saying as much as what they are - which may go with the whole 1930s Moscow territory. I think the way your characters speak to each other is very clean and crisp - and dry - and they seem very real. Does it come easily to you? It reads as if it might. And the vivid characterisation was one of the reasons I admired Absolute Zero Cool so much. The character that comes to life is something a lot of writers experience in the course of a novel - at least in terms of characters not doing what you thought they would - but you took that idea and went a bit further with it. The result was exhilarating to read from a writer's point of view - I was confident you'd bring it altogether in the end, just wasn't sure how. And by any standards it was a good and original novel, with more of the author in it, perhaps, than most novels. How did you feel about appearing in your own novel, to an extent at least? DB: Heh. NOTHING comes easily to me when I’m writing. I’m not a natural or instinctive writer by any means – it breaks my heart, for example, when I read about Lawrence Durrell, and how he’d write in blocks of ten thousand words at a time, and then bin the lot if he wasn’t happy with it and start all over again the next day. I’m a three-words-forward, two-words-back kind of writer. I grind it out. Although, having said that, there’s no doubt but that dialogue is the part that comes easiest. I don’t know why, it’s not as if I’m particularly sociable or a good conversationalist in real life. But I’ll often fill a couple of pages with dialogue pretty quickly, which can be great fun, and then take ages going back over those pages and putting in the descriptive bits. Maybe I should abandon books and try writing TV or movie scripts. I’m delighted to hear that you were so confident reading Absolute Zero Cool that I’d ‘bring it all together’ in the end – I wish I’d been half as confident when I was writing it. But I suppose the ending, the climax or twist or whatever you want to call it, was the least important part of that book – for me, Absolute Zero Cool was all about having a bit of fun with the notion of actually writing a book. I suppose I was trying to explore the extent to which we as readers identify with characters, or how ‘real’ they are to us when we’re reading. And the logical extension of that, from a writer’s point of view, was to see how I would react, as a person and as a writer, if one of my characters ever came to life. I mean, how well, or otherwise, would John Connolly get on with Charlie Parker if Charlie was to sit down on a barstool beside him one night, and start mumbling about demons and the guy outside in the parking lot who is trying to kill him? I’d love to be a fly on the wall for that conversation. With Absolute Zero Cool, I just thought it’d be interesting to poke fun at myself for a while, to point up my own limitations as a writer, both in terms of my technical ability and my imagination, or lack of same. To be perfectly honest, though, there’s probably a lot more of me in Harry Rigby than there is in the ‘Declan Burke’ of Absolute Zero Cool. WR: Isn't that always the way with crime fiction protagonists? There's definitely a bit of me in Korolev's character. If writing a novel is essentially making things up then I suppose it helps if you have something real to start with - from which to hang your falsehoods - and you just hope that, by the time you've finished, the element of yourself that you started with is reasonably well-hidden. Now that you've mentioned the idea - the thought of a having a beer with Korolev is suddenly appealing, although whether he'd have much interest in spending time with a writer from a decadent capitalist country is another question. That's characters for you though - always biting the hand that wrote them. It's interesting though, a lot of my latest novel, The Twelfth Department, concerns Korolev's relationship with his son, Yuri, who he inadvertently places in great danger. For me that was very much an exploration of how I feel about my own son, who is quite young still but who I find myself worrying about quite a lot. Not that I'm nervous about his safety as such - I like him to take risks and be adventurous - but when I think of his future or the possibility of something bad happening to him it's - well - a very emotional thing. And Korolev's love for his son and efforts to protect him were very much an exploration of parental love. I suppose it's natural to take day-to-day concerns and work them through in a novel, although in a completely fictional setting. DB: I can totally understand that. Actually, I’m a bit worried that I’m not distanced enough from the day-to-day concerns when I’m writing. Is that a good or bad thing? I suppose it’s good in the sense that it keeps you rooted as a writer in the here-and-now, and if you can communicate your fears well enough, that should resonate for the reader. Then again, if the reader isn’t remotely interested in your concerns, it could be totally alienating for him or her. I know that when I was writing Absolute Zero Cool I was working out my fear of not being a good father. My daughter had just been born; and in the months beforehand, being entirely narcissistic and immature, or even more so than I am now, I was worried that being a father was going to eat into my writing time / career. Which is precisely what has happened, of course, although my only regret in that respect is that I didn’t have the same experience about 10 years ago. People do say that a person’s life is split in two: before having a child and afterwards. And while it’s not strictly true, I can fully understand why they might say that. Before my daughter was born I could appreciate a certain kind of situation as being threatening or terrifying from a theoretical point of view; now, I’m wholly committed to those scenarios on an emotional level. I review film as one of my freelance journalism jobs, but I really should have handed in my press pass as soon as my daughter was born. These days, once a child-in-peril storyline presents itself, all my critical faculties freeze up and I’m silently screaming at the screen, ‘Save the child! SAVE THE CHILD!! !’ Afterwards I have no idea if the film is actually any good or not; I’m just delighted the child was rescued. I think that played into my current book, Slaughter’s Hound, when I realised I was holding back something when I was writing it, and that I needed to commit to the logic of the story, even if it meant writing something that was truly terrible to me. If I’m totally honest, I’ll also say that it’s holding me back from starting my new book, because at the heart of it is a scenario that is – for me, anyway – utterly horrible. I suppose you tend to conceptualise violence in a different way when a child enters your life. I’m not in the slightest bit interested anymore in whether violence has a particular aesthetic, or whether it’s justified in terms of the plot, etc. I’m really hung up at the moment as to whether I even want to write the kind of story that requires violence – and particularly lethal violence. And don’t get me started on violence against women … There’s nothing like a daughter to make a belated feminist-of-sorts of a man. Are you fully committed to a career of writing crime / mystery fiction? Is there anything about the genre that might persuade you that you want to write a different kind of story? WR: I wouldn't imagine I'd go off and try anything too esoteric but I might spread my wings at some stage. I have nothing in mind though. What about you? It sounds as though you're not entirely sure which way you're going to go with your next novel. DB: "You're not entirely sure which way you're going to go with your next novel," is pretty much tattooed on the inside of my frontal lobe. But yes, in terms of the next book, that's especially true. I have the broad storyline, the main characters, the setting - although I don't have the voice. But even if I did have the voice, I'm still not sure I'd be plunging into it. About all I really know about the next book is that I don't want it to be any kind of book I've written before. WR: I think, to be honest, that's how every writer should approach every novel. I'm just about to start one myself and, although it features Korolev once again, it also features a Soviet Arctic exploration ship trapped in ice surrounded by what may well be murderous ghosts. Now quite how I'm going to approach that - I've no idea. But I have a good feeling about it. Whether that's enough, only time and effort will tell. 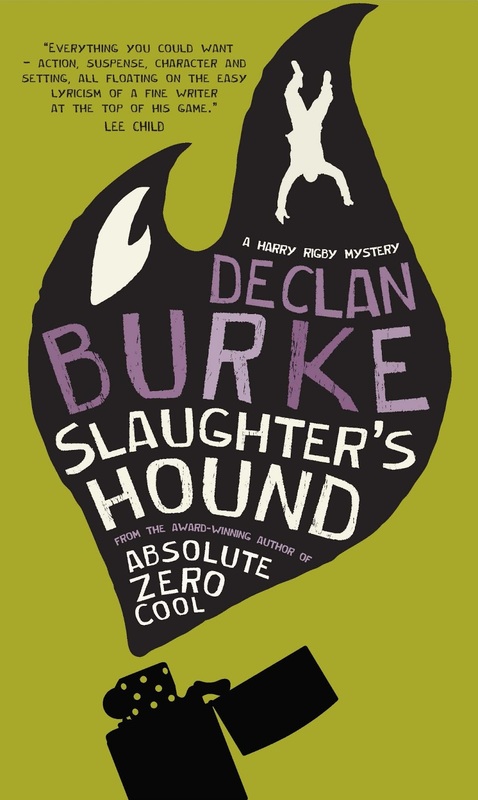 The reason I asked about your next novel was that Slaughter's Hound veered back towards the very Chandleresque style of your earlier novels yet still retained much of the gritty and innovative qualities of Absolute Zero Cool. Both novels were shortlisted for The Irish Crime Novel of the Year and Absolute Zero Cool also won the Goldsboro Last Laugh Award and received great reviews. They were very different novels but they were both dark - in the best traditions of noir - and I was wondering if that was something you were going to follow up. At the same time, I'm conscious that's an awkward question to ask. DB: " ... a Soviet Arctic exploration ship trapped in ice surrounded by what may well be murderous ghosts." That sounds terrific, can't wait to see it. Not least because it sounds like it'll be bending a few genre conventions out of shape. I'm definitely heading the same direction with the next book, by which I mean having some fun with the genre's expectations, and in my mind it'll be the darkest piece I've written yet - and that's possibly one reason why I'm so reluctant to start it. It's a kind of a 'heart of darkness' story, I suppose, and I'm conscious that it'll be about violence against women and children, and specifically about the violence done to women and children in the name of fiction. Of course, in order to explore that theme, I'll need to make the violence explicit (or will I? ), and while I've already written the core scene, which to me is an utterly horrible scenario, I really don't know if I want to go back into it. Maybe I'm flirting with the idea of making it an Absolute Zero Cool kind of story (in which 'characters' interacted with 'reality') so that I can deflect some of that horror. Or maybe I'm just trying to create a get-out clause for myself, and wash my hands of the violence while still incorporating it into the story - that's possible too. Funnily enough, I'm just putting the final touches to the e-book version of The Big O, which was originally published in 2007 and was never available as an e-book before. I wrote that book - which is a comedy caper about a kidnapping gone wrong - as a reaction to writing Eightball Boogie and the first pass of what became Absolute Zero Cool, both of which were pretty dark in tone, and the intention was to try to write a credible crime comedy in which no one was murdered and the violence was kept to the absolute minimum (someone does suffer a gunshot wound, but it's via an accidental discharge). So I guess I've been here before, wrestling with the violence-in-fiction issue. And that was probably the most fun of any book I've written to date, so maybe there's a lesson in there for me somewhere.